We are licensed by the Department of Children and Families (DCF) of the State of Florida to provide therapeutic shelter care in a homelike environment for children from 0-18 who have been removed from their homes because of neglect, abuse or abandonment. 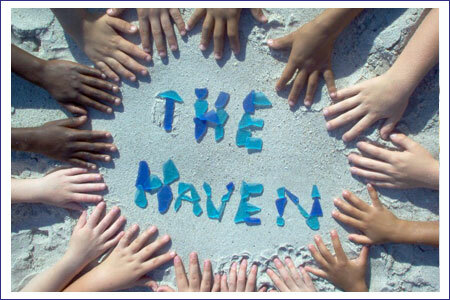 The Community Based Care of Brevard County and other community-based care groups in Central Florida refer children to The Haven. The Haven for Children, Inc. program’s goal is to nourish and protect the children in its care and guide them toward positive self-growth. Currently, we have three homes that serve an average of ten children each. Three shifts of trained staff provide 24/7 care 365 days per year. We also receive the services of a nurse practitioner from the Brevard Health Alliance who provides on-site medical care to our children. Mission: To provide healing and nurturing, with residential and therapeutic care for children who have significant emotional and behavioral disorders and have been removed from their families due to abuse, neglect or abandonment. Vision: With broad community support, The Haven for Children will operate residential homes that provide the highest level of treatment for our children. We will treat, teach, and nurture each child individually to help them reach his or her full potential, with the purpose of ending the cycle of child abuse and neglect, one child at a time. Children who come to live at The Haven will find stability and permanency until they are adopted, reunified, or reach adulthood.